The Arabian Mau is a natural short haired breed of cat of the desert of the Arabian peninsula, which lives there in the streets and has adapted very well to the extreme climate. It is medium in size, the body structure is rather large and firm. In general the cat appears not to be too slender. The muscles are very well developed. The legs are comparably long (high on legs) with oval paws. The head appears round, but is slightly longer than broad. The nose is slightly concave curved, when viewed in profile. The whisker pads are clearly pronounced, with a slight pinch. 'The chin is very firm. The eyes are slightly oval, large and slightly slanted. 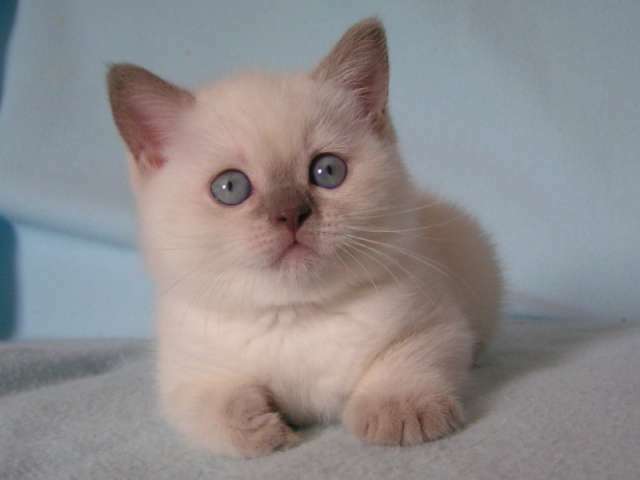 The cat may have any eye colour, there is no relation between the eye colour and coat colour. The ears are large, slightly forward and sideward placed and high set on the skull. The tail has medium length and tapers slightly towards the tip. The coat is short and lying close to the body. It has no undercoat and is firm to touch. It may not be silky, but is noticeably very glossy. 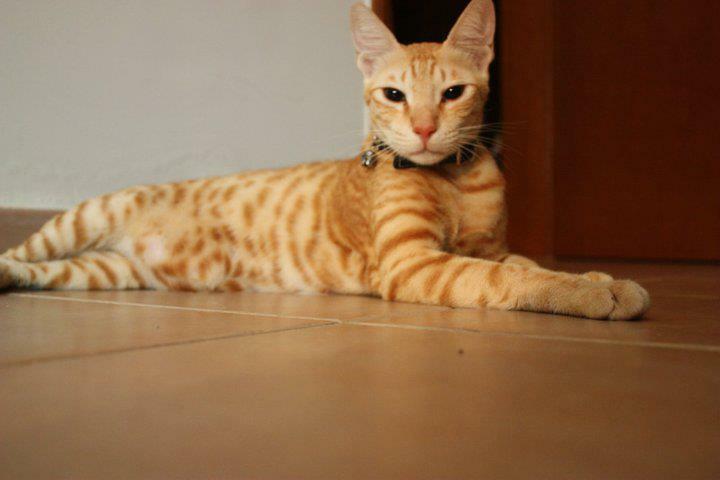 The Arabian Mau is an active and very agile cat. It loves to play, and has lots of fantasy. 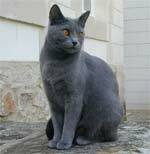 It is an extremely nice cat and very loyal to its owner. It goes very well with other companions living in the same household. 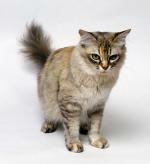 However, its energy can sometimes make it feisty, which can be a challenge for those used to calmer cats. It is usually very affectionate, but needs plenty of intellectual stimulation and play. 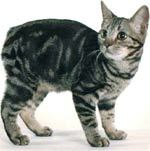 The medium-sized Stabdard Arabian Mau cat has a large body structure.The entire cat does not appear to be too slender. It shall be very muscular and high on legs. The legs are long with oval paws. 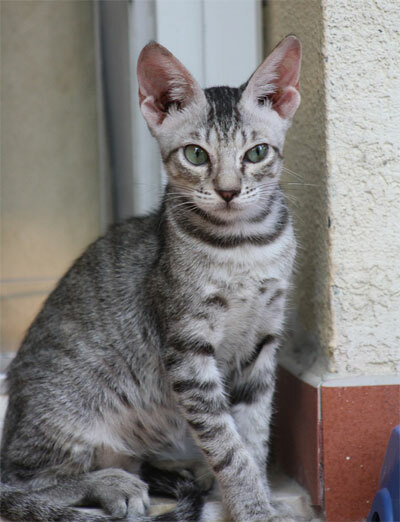 The Arabian Mau cat breed is a natural breed, so it must reflect the morphology and behavioral features of the cats living on the Arabian Peninsula. 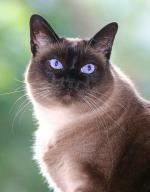 The standard has been drafted on the observation and the description of physical characteristics, which have been found in the cats of this area average population, originating form the Middle East and in its descendants. No prefixed model has been followed. The Arabian Mau cats have been approved by the WCF during the Annual General Meeting held on 2 & 3 August 2008, at Germany. 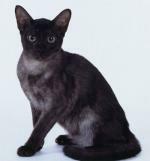 The Arabian Mau cats can participate in International Shows from 1st January 2009.